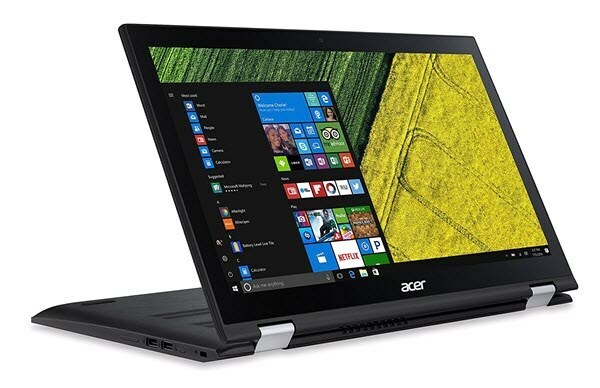 Taiwanese electronics corporation Acer has launched a new convertible laptop in its Spin series in India. This is the Acer Spin 3 and its about to change your perspective. Well, that’s what Acer hopes to achieve with the stunning laptop that comes with a 360 degree hinge. We have all the details for you on the price, tech specs, and availability. The Spin 3 is priced at Rs.42,999 and is available is key retail stores across India. 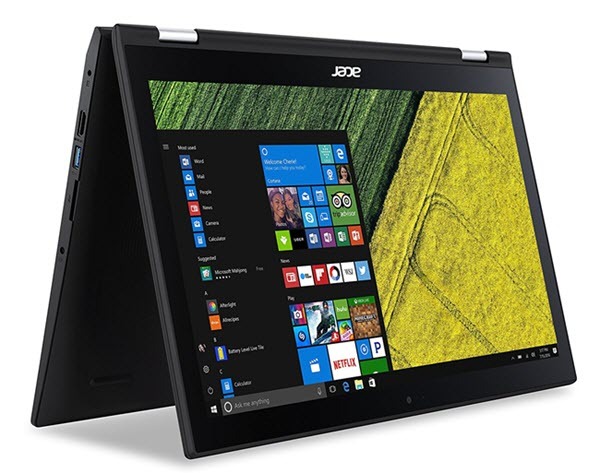 Considering the lack of good convertibles in the below 50K price point, the Acer Spin 3 appears to have established itself as a good contender in the space. The Acer Spin 3 sports a 15.6-inch HD display with Color Intelligence. This feature optimizes the screen color intelligently and automatically. Its BlueLightShield feature protects your eyes from harsh screen emissions. It also comes with an Intel HD Graphics 520 controller. It features a 360 degree hinge to allow rotation in 4 different directions, which you could have guessed from its name. You could use the Spin 3 as a Notebook, as a Tablet, as a Display, or view it in the form of a Tent. Under the hood, the Acer Spin 3 is powered by a 6th Generation Intel Core i3 processor with 4GB of RAM. On the storage front, it offers 500GB of HDD storage. It runs Windows 10 Home with 64-bit architecture. The notebook carries a 3220 mAh battery capacity that promises 9 hours of usage. Connectivity options include two USB 2.0 ports, and one USB 3.0 Type-C port that will allow quick transfer of data and connection to an external display. Users can enjoy the benefits of crisp, clear surround sound, thanks to features like Dolby Audio Premium and Acer Trueharmony. The notebook promises 9 hours of usage. It comes with a HDR camera, but sadly lacks a fingerprint scanner. Its not a light notebook either, weighing 2.3kgs. The keyboard is a backlit and ergonomically designed. Considering that there aren’t many convertible laptops for consumers to choose from sub-50K, the Acer Spin 3 may be just what the doctor ordered. You can learn more about the Acer Spin 3 convertible laptop on the official website. What do you think of the Acer Spin 3? Let us know in the comments section.